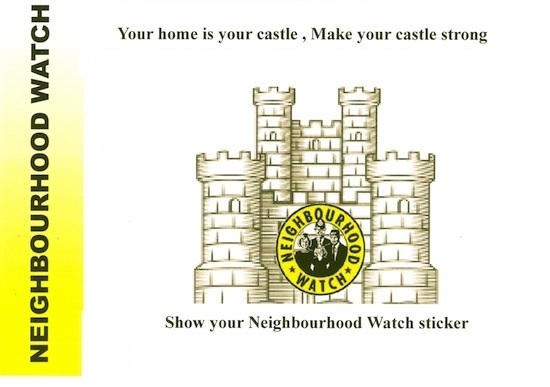 The ATN Neighbourwatch Association aims to co-ordinate all the Neighbourhood Watch schemes in Neath, Port Talbot and surrounding areas. We have an office at Port Talbot Police Station and an ATN official is always in attendance on Thursdays. More detailed information can be found under NPT SAFER PARTNERSHIPS - in menu. We aim to be independent as possible and our funding is provided by grants from various sources. We work closely with NPT Safer Partnerships and the Police in order to provide support to other 'Watches' in our area. Quarterly meetings are held at the Civic Centre in Neath, which enables all co-ordinators and administrators of NPT Neighbourhood Watch schemes to get together for two way feedback plus advice from relevant officers. We are currently drawing up plans whereby the administrator of each scheme will be alerted by email of updates to this website - thus providing a fast and efficient communication service. ATN Neighbourhood Watch Association accepts no responsibility for any errors or omissions that may occur on this website from time to time. Also no responsibility can be accepted for the links to third party websites or the content they contain. 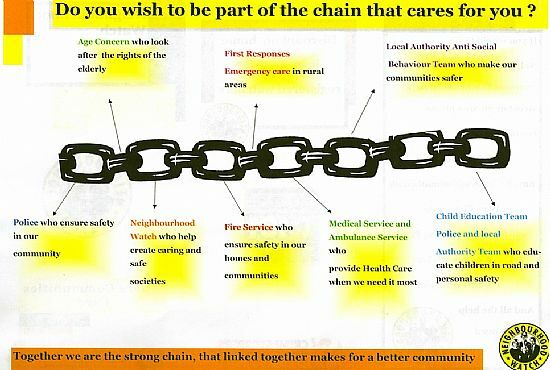 All information is given in good faith to benefit other Neighbourhood Watch schemes and the general public as a whole.